New Delhi, India, March 29, 2018- Society for Human Resource Management (SHRM), world’s largest association for human resource (HR) management will be organizing the HR Technology Conference & Exposition. 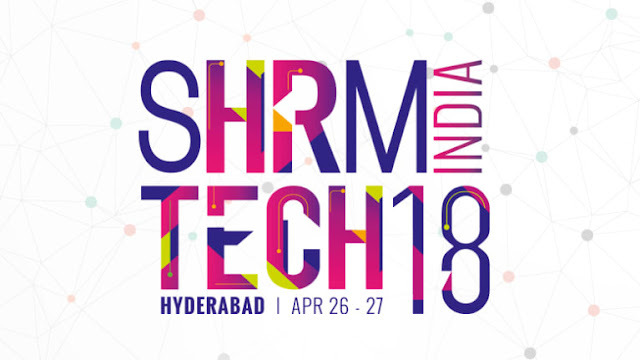 Being the 4th of its kind, #SHRMTech18 is set to transform Hyderabad into a melting pot of revolutionized HR Tech trends. Technology has become an indispensable part of our everyday life and has greatly come to transform and enhance the way we live and work. The two-day conference allows you to witness the latest HR tech innovations where professionals and tech trend-experts gather to create a thriving tech-led HR to keep organizations future ready. With forecasted spikes in workforce, every organization must gear up with only the best HR tech trends, which enable quicker decision making, accurate predictions and equip professionals with the necessary tools to meet specific needs and goals. It’s time to talk about the best HR practices and unveil what’s next - #SHRMTech18.